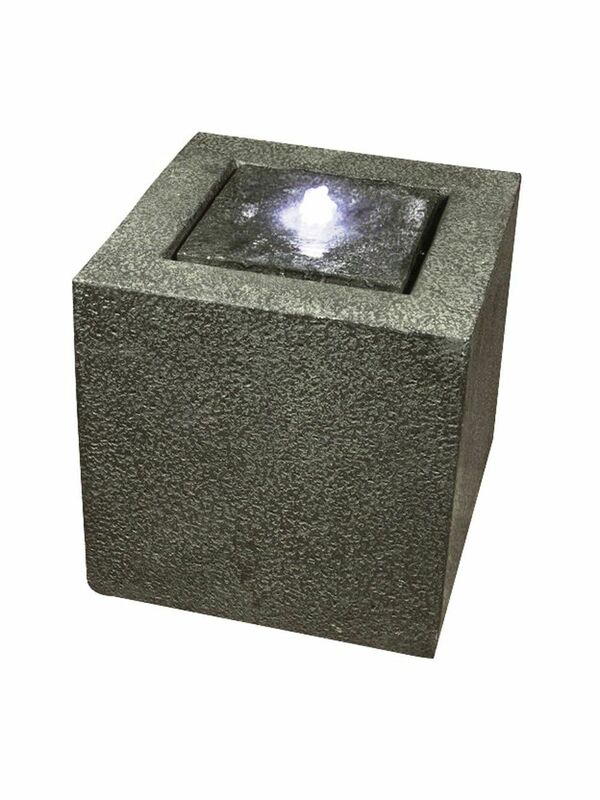 Grey Granite Cube by Aqua Creations, this sophisticated fully self contained cube water feature will add that extra wow factor to any given area it is placed. 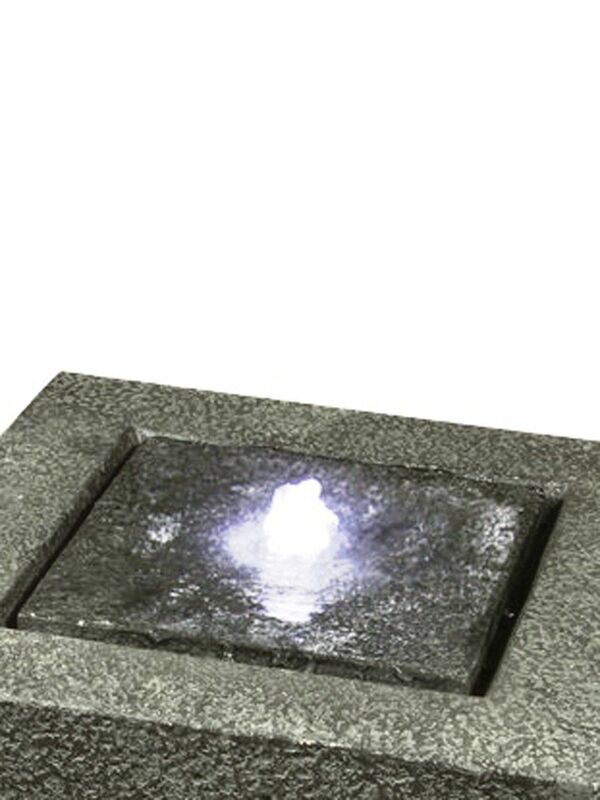 As the water bubbles in the centre of the feature to create that relaxing sound of bubbling water, this is also light up by a striking cluster led light to give the water an extra shine. A must have for any indoor or outdoor area. Fully self contained all you need to do is fill, plug and play.